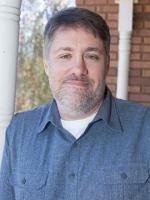 John Mantooth is an Alabama writer of horror and crime fiction. His first novel, The Year of the Storm, was a finalist for the Bram Stoker award. He also writes the Earl Marcus Mysteries under the pseudonym, Hank Early. Heaven's Crooked Finger (Earl Marcus 1) is available now. He's represented by Alec Shane of Writers House. John Mantooth's first book tanked. This is how he got back in the game.